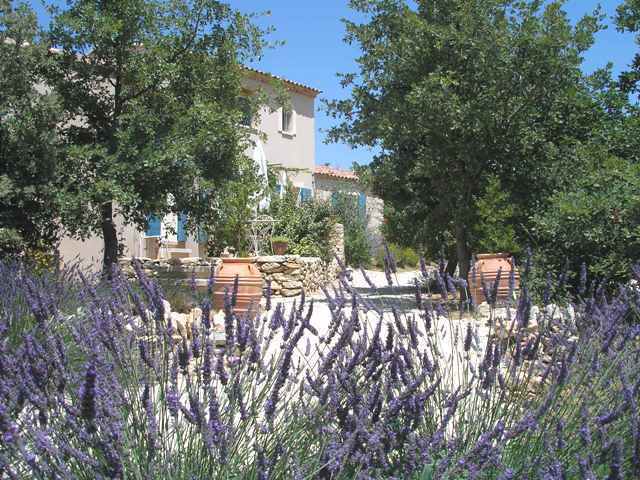 In the Luberon area, in Lacoste, we welcome you to our Provencal farmhouse, surrounded by lavender and its landscaped garden. For your well-being and tranquility, five spacious charming rooms from 21 to 25 m² with independent access, beautifully furnished in a Provencal style, combining authenticity and modern comfort (private terraces, luxury bedding, free wireless internet access, MINIBAR, fan-cooler with remote control, LCD TV, bathroom with shower, toilet and hairdryer). Free enclosed parking on the property . 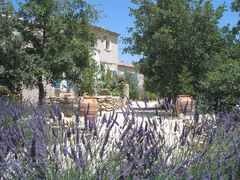 Full, copious and natural breakfast, are served in the dining room or under the pergola, facing the Luberon and the lavender.